Cedar was firstly mentioned long time ago – by Druids who were known by their magic power to heal people. Ancient people used cedar for various purposes. Egyptians buried their pharaohs in cedar sarcophagi. Kings of Assyria used amulets made of cedar to influence the leaders of other kingdoms to listen to their opinion. Cedar amulets were also very popular among Assyrian women who believed it had magic power in seducing the men they liked. Cedar was mentioned even in the Bible, many times, as a healing and purifying tree. Based on all this information we can conclude that we, even in our age of technological innovations, might also be in a great need of this magic and powerful tree. Women would really benefit from it using it as a beauty tool for better and smoother complexion. As for men, it could lead them to a success in their business. However, the most important function of Cedar is the healing one. It gives people energy and improves their health which undoubtfully leads to a great success both in their businesses and personal live. The Nature empowers this tree to heal and protect from dark forces, provide with live energy and fight negative one. 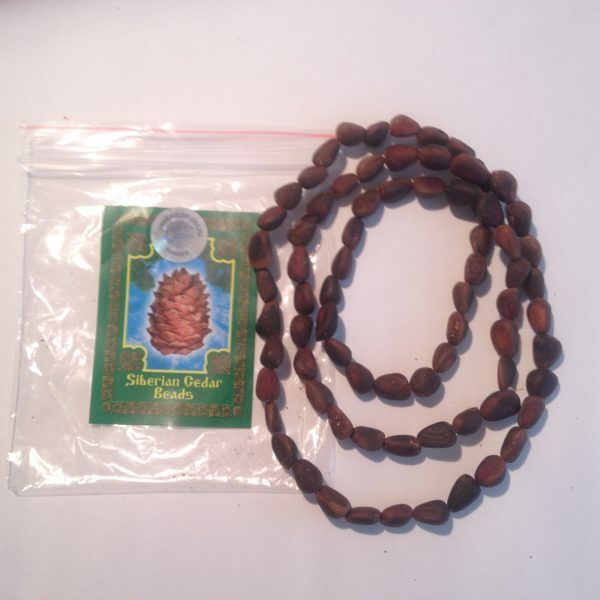 Cedar is also known as an aid to relieve exhaustion and make your body relax overcoming stress and anxiety. For instance, people who work with cedar (carpenters, woodcarvers) manage to stay very fit and healthy. It does not come as a surprise as they touch the tree while working with it. Cedar is a purifying tree which means it is enough to just touch it and all your troubles and illnesses will go away. Even the Bible mentions Cedar as an aid to clean and purify people’s homes, especially in periods of fasting. There are many legends telling us about the great energy of this powerful and magic tree. Getting the energy from Cedar means you get the energy from the Nature itself. You should wear cedar as close to your body as you can, so, that it could touch your body. You might notice while wearing it that it changes it colours from green to dark grey. Which means it works healing your body and relieving it from illnesses, stress, anxiety, tension and all the dark energy your body has managed to store during the whole lifetime. That is why it would be a great present for people you love and care about as well as for yourself.